Welcome to Lawn Care Academy’s lawn care products page. We know that beautiful lawns do not occur by accident, but are created. It is our desire to offer only quality products that we believe will meet our high standards and yours as well. Lawn Care Academy is very selective about what we offer to our visitors. 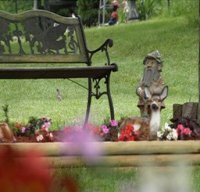 Our lawn care products must meet a very high standard. After a long search, we have found just such a product. 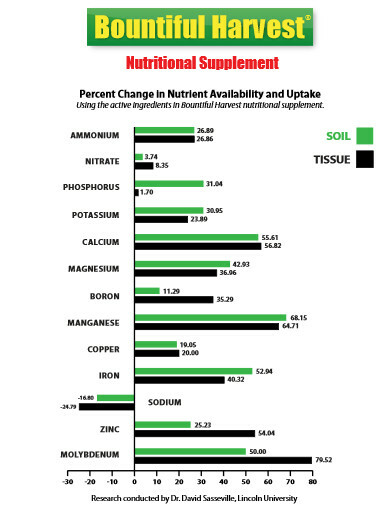 The above graph is representative of all the Agri-Gro biostimulants and soil enhancers. You cannot get these benefits from fertilizer alone. The only element that is reduce is "Sodium", which at higher levels can cause serious soil problems. AgriGro products have been the best kept secret in the home lawn and commercial turf industry. Why are AgriGro products so good? Click on the "quick links" above or the product links below to see why they are so amazing. We would never offer anything we would not use ourselves... and we absolutely do use AgriGro! It works! You have our guarantee and complete product support for everything we sell. We are very happy to offer AgriGro All Natural Biostimulants. These products are incredible. They have an amazing track record with astounding results. Turf Formula Biostimulant is specifically designed for home lawns, professional sports turf, fields, parks, or any place where grass and plants are grown. It is used on lawns, golf greens, fairways, estates, and by home turf management companies. Click on the informaion below and find out for yourself how this can help with your lawn. Bountiful Harvest Biostimulant comes in smaller packages for those who need less product. Make no mistake, you are still getting a powerful biostimulant and soil fertility booster. Bountiful Harvest Increases soil microbial activity, root growth, and much more and can be used on all plants, flowers, vegetables, seed, and for everything you grow. Foliar Blend Biostimulant is commercial grade biostimulant used on crop farms, commercial orchards, tree and plant nurseries, hayfields, and more. Foliar Blend is a powerful biostimulant that increases soil bioactivity enormously, increases fruit production, crop yield, and root mass. It also increase photosynthesis, plant health, and disease resistance. It is available to homeowners and farmers in the U.S. and 49 countries. 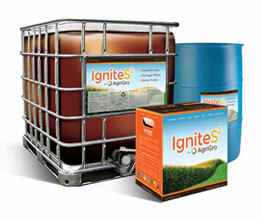 IgniteS2supplies essential nutrients and beneficial soil and plant supplements that boost plant growth, allowing crops to reach their genetic yield potential. Field studies have shown that crops treated with IgniteS2® are healthier, have improved nutrient uptake and availability, plant growth, and higher yields. It tremendously increases soil microbial activity, quickly reducing plant stubble into nutrients and organic matter while increasing beneficial soil microorganisms. AgriGro "Ultra" OMRI - Certified Organic - Plant Biostimulant and Soil Fertility Booster. AgriGro's All Natural formula contains seaweed extracts, mycorrhizal fungi, micronutrients, and more. AgriGro Ultra's powerful formula will increase soil fertility through an explosion of microbial activity and the mineralization of natural soil elements. It can be used on all your plants, including vegetables. 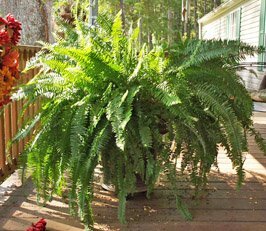 Super-Cal Liquid Calcium is an immediately available source of calcium for all plants. Calcium is an important nutrient that is needed in huge amounts, equaling only magnesium in total volume inside plants. Super-Cal is essential for root growth, maintaining soil pH, stronger plant cells, disease resistance, and maintaining the highest microbial activity. It is designed to be used with all AgriGro's biostimulants for maximum effect. Unlike other hose end sprayers, this sprayer does not dilute the container with water. Instead the Chapin sprayer siphons material directly from the container and injects it into the water stream. When you are finished spraying you can pour any left over material back into the product container. We provide full technical product support, but since we have no control over customer's use of Agri-Gro Products, soil conditions, mixture rates, etc, all sales for liquid calciuim and biostimulants are final except for delivery damage. Full warranty specifications are listed on the Agri-Gro Product Label. Equipment and tools are warranted by the manufacturer. Returns for equipment are accepted within 30 days of purchase if still in new condition with original packaging.